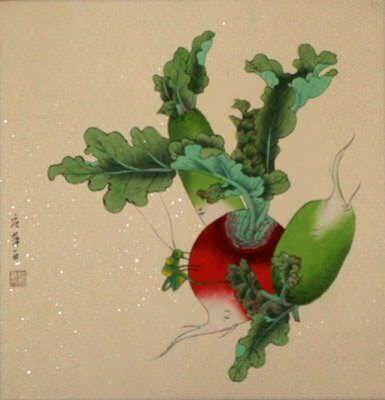 Artwork Panel: 49cm x 50.5cm ≈ 19¼" x 19¾"
Silk/Brocade Border: 59cm x 60.5cm ≈ 23¼" x 23¾"
An insect is about to make a meal of these plump radishes. 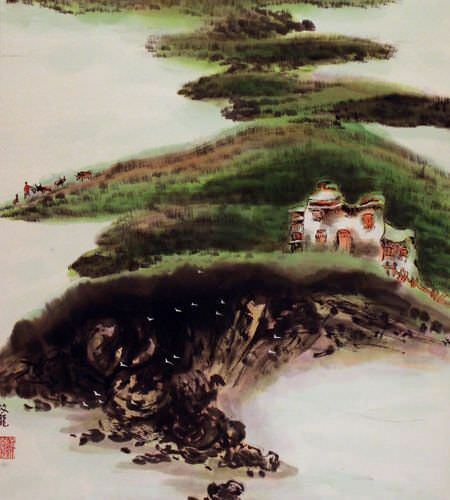 The artist's name is Qing Ping. 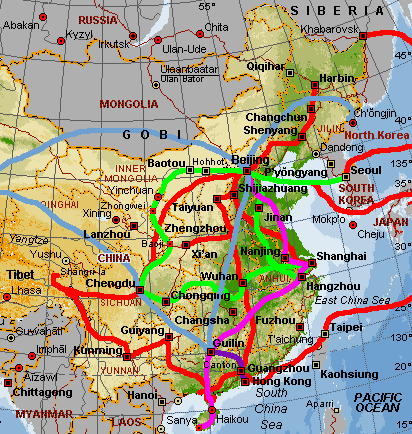 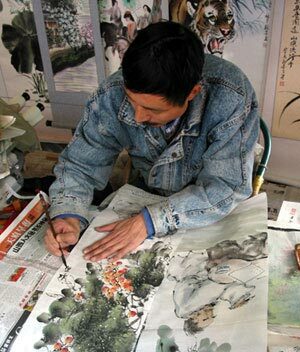 The artist lives near Chengdu and was introduced to my by one of our other artists from Chengdu, Huang Xin-An. 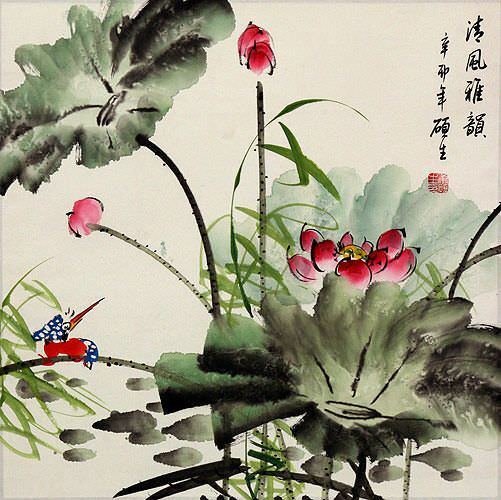 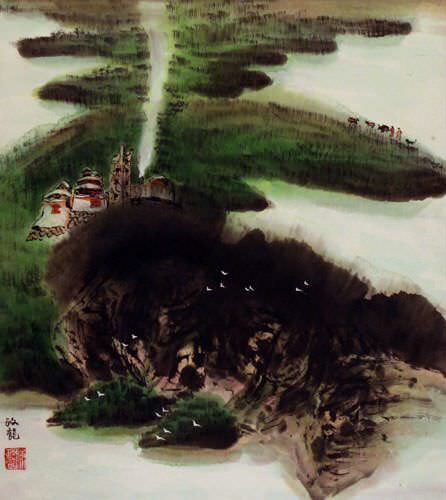 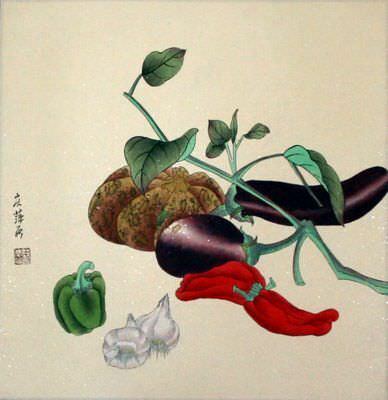 This painting was created using special black Chinese ink and watercolor on xuan paper. 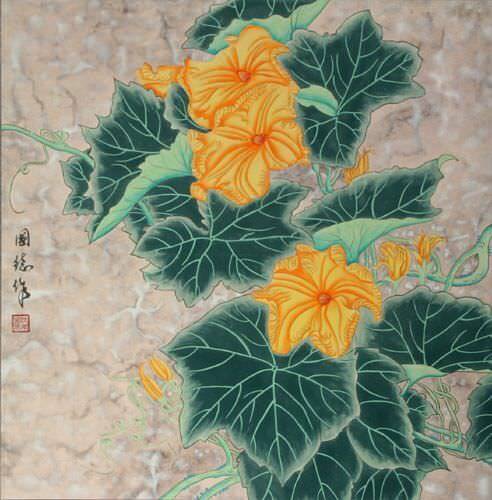 After buying this art from the artist, it was mounted with a silk brocade border.